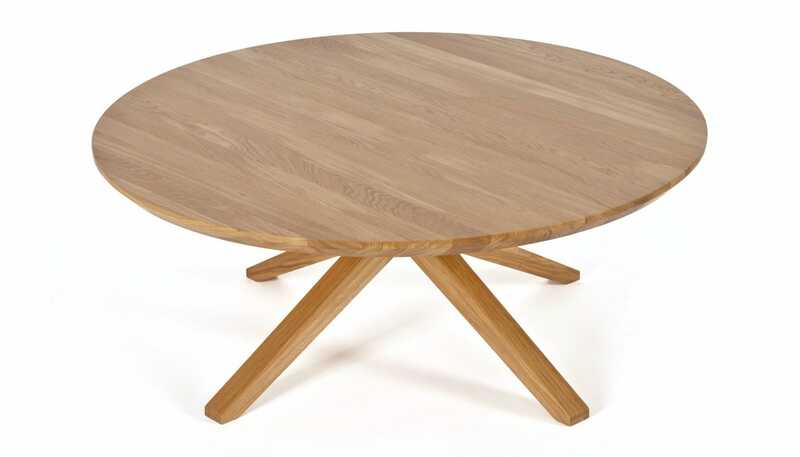 The Cross Round Coffee Table by Matthew Hilton has a low crossed leg detail underneath the 90cm (35 3/8") solid wood top. 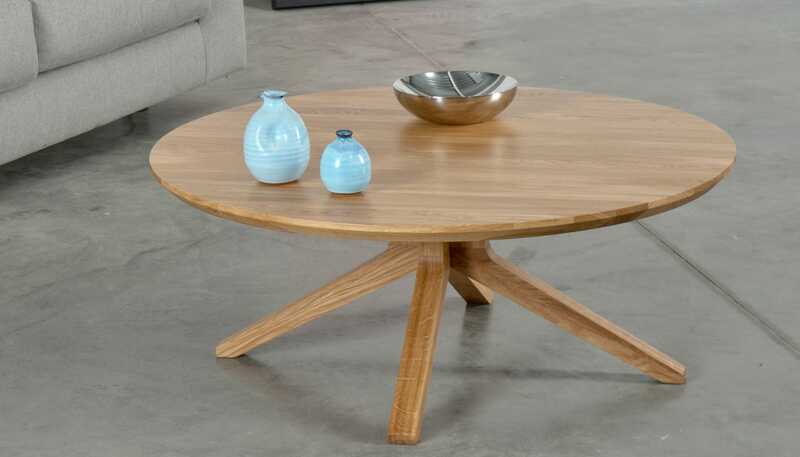 The sturdy contemporary coffee table is a smaller version of the Cross round dining table; it combines a visual balance due to the proportions of the tabletop with a functional design of the base. The Cross collection is a timeless, reliable design with award-winning products which distil the modern principles of design. Top made from oak veneers on solid oak legs. 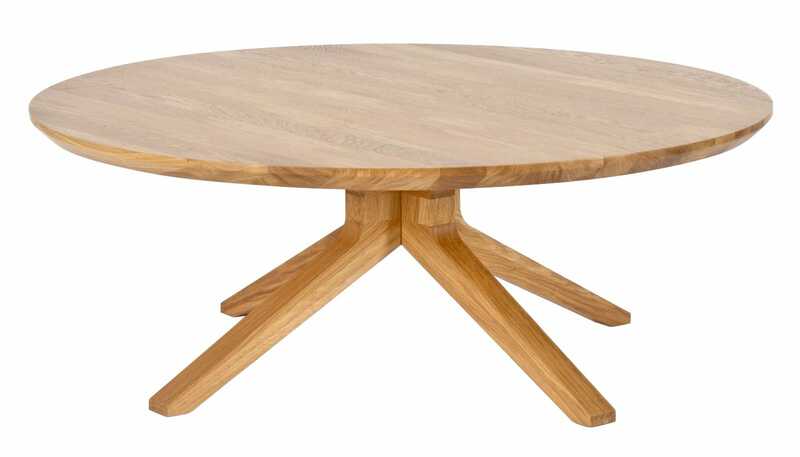 The table has a chamfered edge detail with a central pedestal base. The table has a clear lacquer finish which allows the natural warmth of the wood to come through and require minimal maintenance.